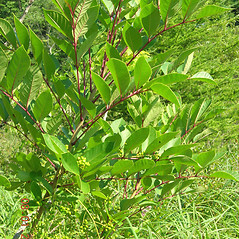 Poison sumac is a tall, narrow-crowned shrub that frequently rings wetlands and bogs in nearly impassable thickets. 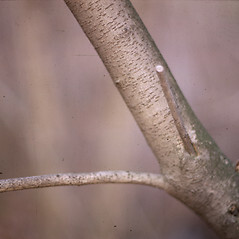 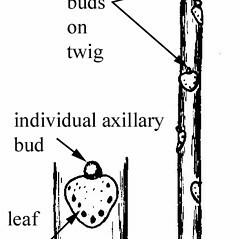 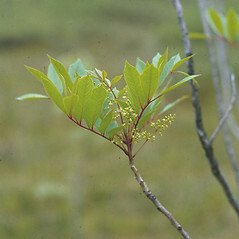 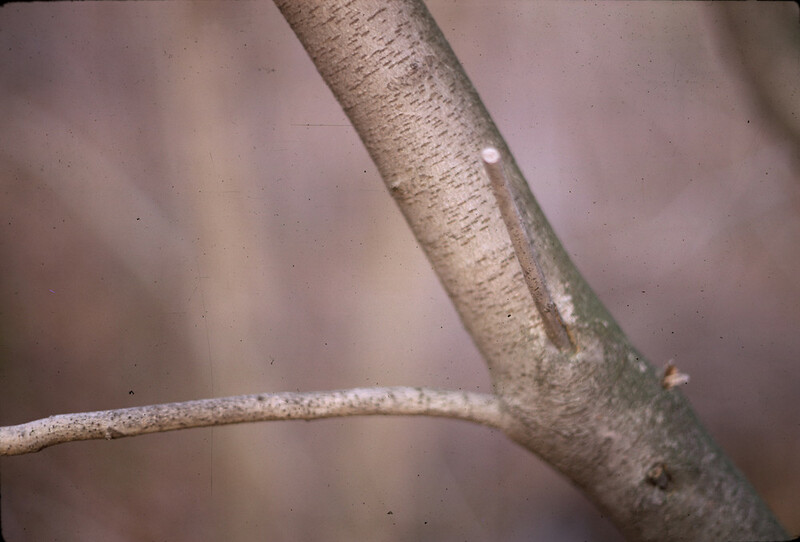 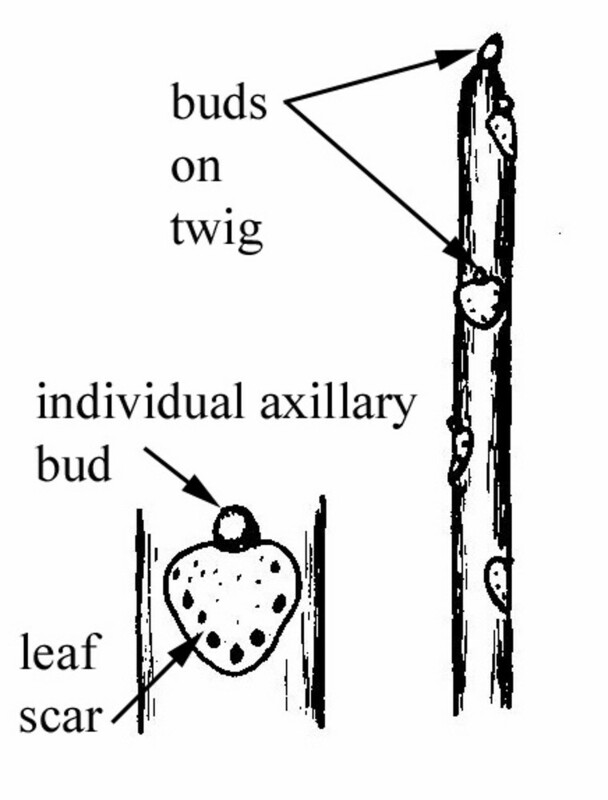 All parts of the plant can cause a rash in humans if the sap is contacted. 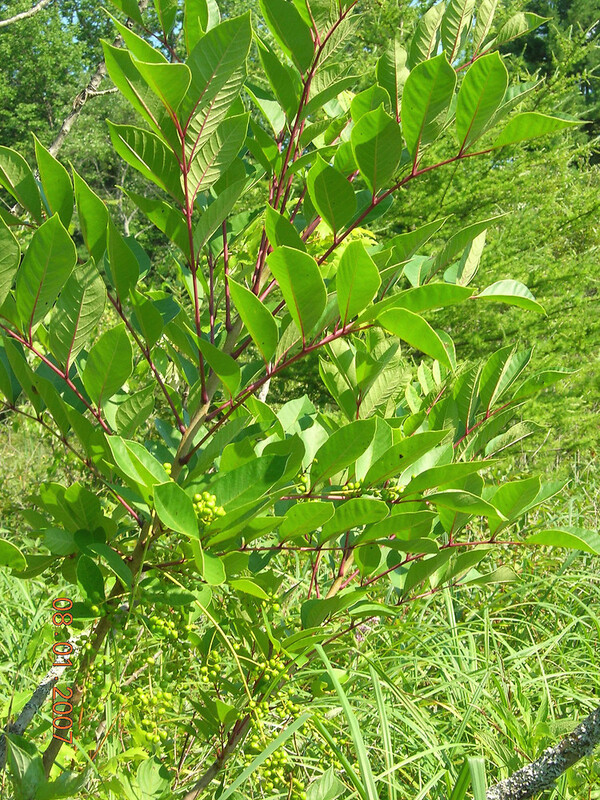 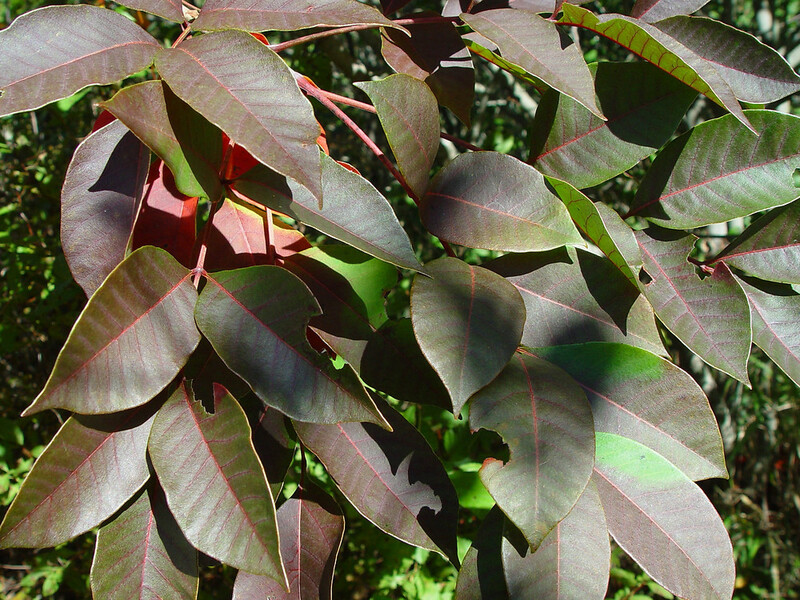 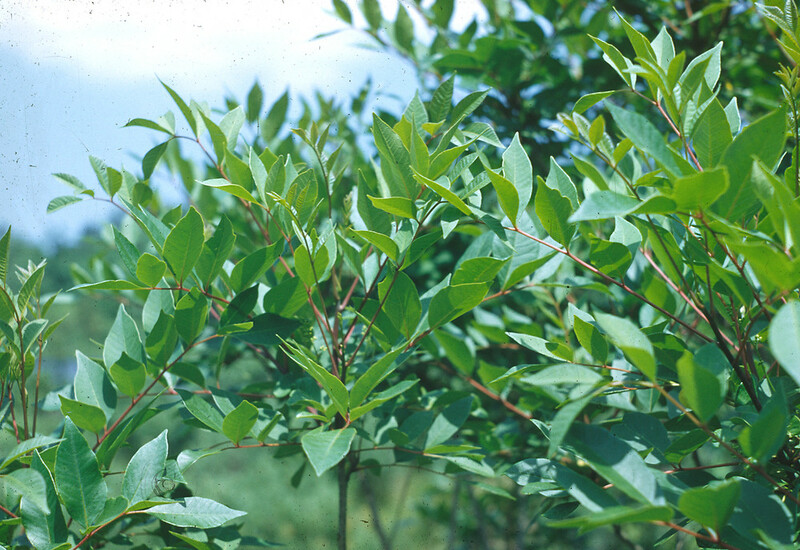 The sap of poison sumac can be used to make a black varnish for use in woodworking. 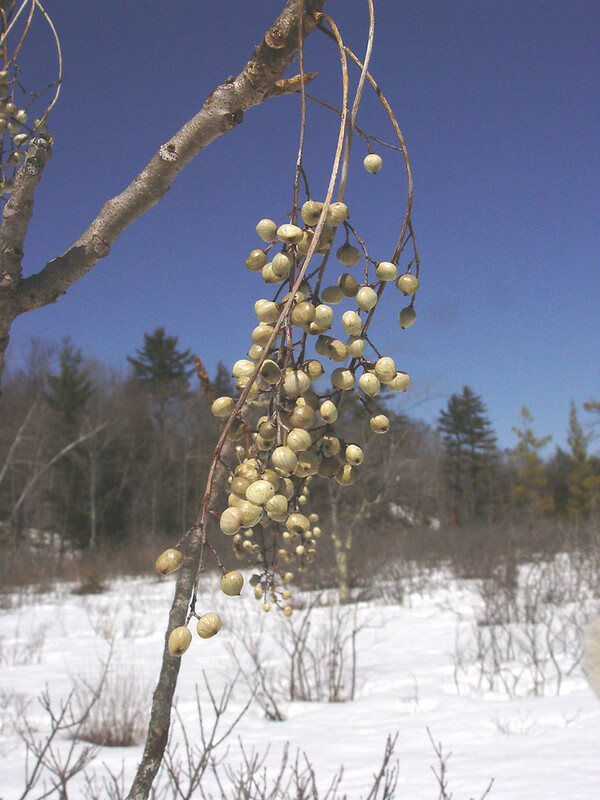 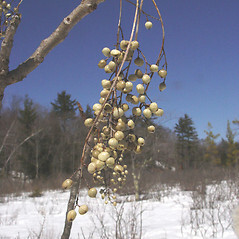 Bobwhites, pheasants, and grouse consume the fruits in winter. 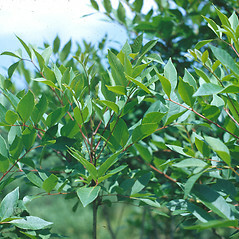 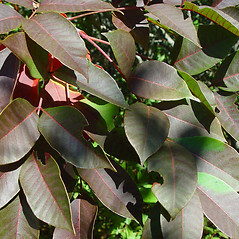 poison-sumac. 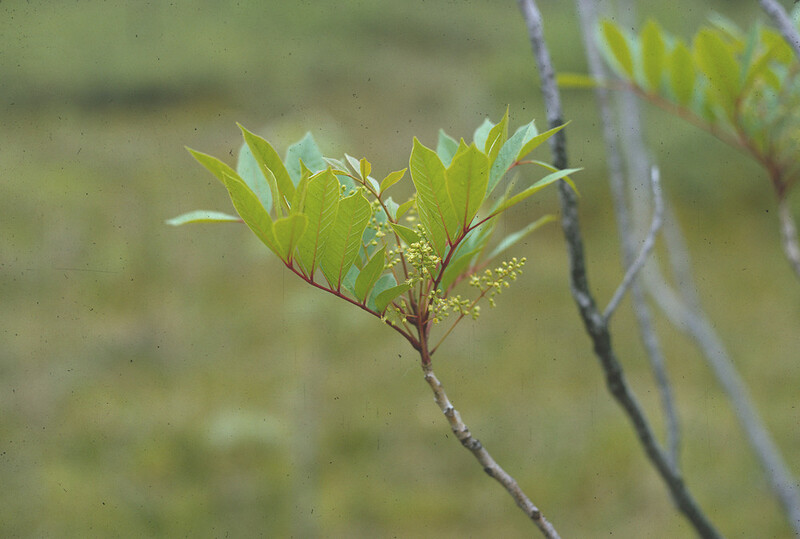 Rhus vernix L. • CT, MA, ME, NH, RI, VT. Forested and shrub swamps, wetland margins.